We are a small family business who run guided cat fishing holidays on The River Ebro and have been doing so, with growing success, since March 2002. Whether you are a fishing fanatic or just want to give it a try, Top Cat fishing can be the basis for a great activity holiday in Costa Dorada. We are very proud of our growing client list. Many of which book year after year. Most of our new customers are through word of mouth, which we believe is the best form of advertising. We pride ourselves on giving our customers the very best service and knowledge to make their stay first class. Rob has over 30 years fishing experience with the last 9 years of extensive experience cat fishing on this stretch of the Ebro. Your day on the river will start with a brief induction on the equipment and the techniques that you will require to catch that fish of your dreams. Once this is out of the way you will be fishing for approximately eight hours. The fishing may include drift fishing, working live baits around the pools and eddies or fishing over hot spots. If you are not an experienced angler please do not be put off as your guide will always be at your side to assist and direct you through the cat fishing experience. Anglers are advised to take plenty of drinking water, a packed lunch and don’t forget to take a hat as it can get very hot out on the river. When you book up with us you will benefit from the following services A first class guide with extensive knowledge in cat fishing on the river Ebro. A fully equipped sports fishing boat. Specialised cat fishing tackle including rods, reels, line and hooks. Specialised weighing equipment. Photographic equipment to capture your memorable moments. All the necessary safety equipment. Live bait ( Carp, Mullet and Eels ). Themed Holiday Ideas, working in collaboration with Top cat Fishing, offer superb cycling and walking tours in the area too. Fishing forms only a small part of our offering for activity breaks in Costa Dorada. We offer a wide range of outdoor activities that take advantage of the picturesque region. There are a number of routes we can take you on locally but one of our favourites is taking advantage of the old railway line in Tortosa-Alcañiz, which has a maximum incline of 400 m, and bearing in mind that the entire ground is compacted fine gravel, it is suitable for any type of bicycle. The route is one of the most stunning you can do on a bicycle. Crossing mountains, through the old tunnels, and traveling by gorges, ravines, and precipices, right across viaducts where the train once went, allowing us to stop when you want to enjoy the breathtaking views. For more information and details about our daily itineraries please contact Themed Holiday Ideas. 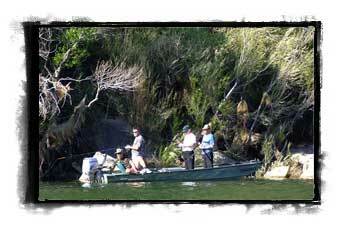 Themed Holiday Ideas, in collaboration with Topcat Fishing, offer great walking tours. A walking track running past the farm, alongside the river to Miravet, is where you can visit Miravet Castell, and if you have the time before your 2 hr walk back, have a drink and lunch in the square looking out over the river. Font Caldo is also a place where we like to walk which is approx 25 mins away and is very picturesque. Walking in this region of Spain is varied and a true delight. There are great routes through the mountains giving you a chance to experience some of the oldest Mediterranean vegetation and incredible views, also stunning coastal walks for miles along golden sandy beaches, or historical walks around the many ancient villages, towns and cities. We offer great tailor made walks with or without a guide. Please contact Themed Holiday Ideas for details. For more information on activity holidays in Costa Dorada then please don’t hesitate to get in touch with us via the below details.